OLLY Olympics. FUN DAY and Free disco Party TODAY!!! 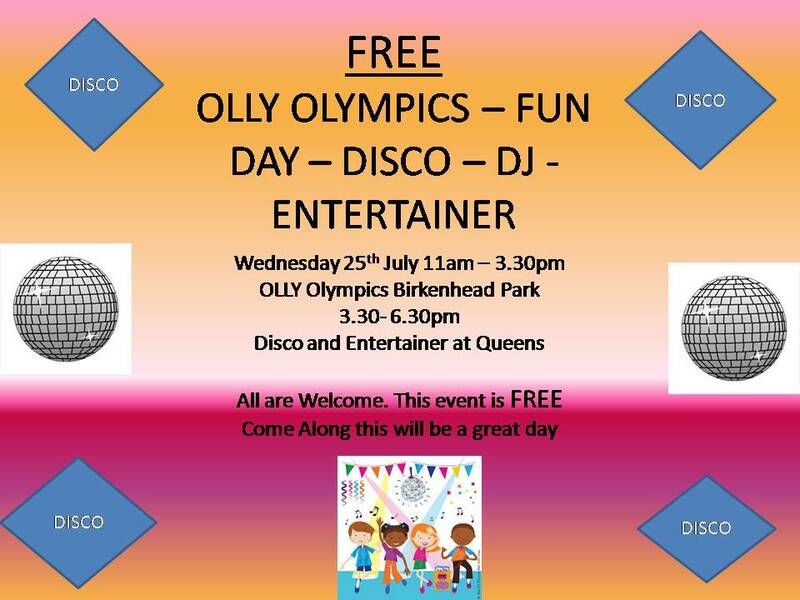 OLLY Olympics starts at 11am Birkenhead Park through the main entrance towards the swings. If the weather is sunny and dry at 3.30pm everyone to make their way to the Queens opposite the park gates for a disco and party starting 3.30 – 6.30pm. Everyone is welcome to bring your children along for a free sports day event followed on by a party/disco. Every child in Birkenhead please attend as you will have a great day. It is FREE. You will also be able to have your photos taken all you reds in our Liverpool Bus.